Home Players And Rumors Hit The Kwon!! Any fan or player will tell you, losing him for 4 games last year genuinely hurt this team. So our big question coming into this year was Kwon’s presence. Was he the reason that the defense struggled in the last 4 games of the 2015-2016 season? I believe we have our answer, and it’s a definite yes. You can put his stats on paper and see why he continues to be such an impact player. 42 tackles, 2 sacks and an interception. In his first game against Atlanta, he recorded 15 of those 42 tackles. In his second year, Kwon is making waves on the defensive side of the football. His quickness to the ball, and play coverage under defensive coordinator Mike Smith, show why Kwon is now more than just a dance move, he is a force to be reckoned with on defense. Look for him to continue to impress this year, and in my opinion, become a pro bowler for the first time. 2 Great Linebackers, But Which One Is Better ??? Robert McClain will bring veteran competition and experience. 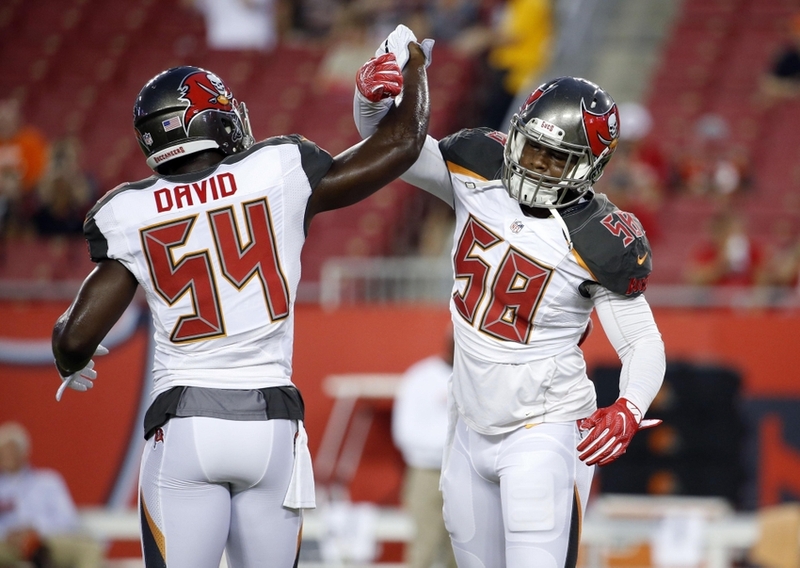 Kwon Alexander Out For Week 3 Ahead Of 2 Games In 11 Day Stretch. Buccaneers: Mike Evans Makes Pro Football Focus top 50 players. Previous articleCarolina Panthers: From first to worst.